Iridology is the practice of reading the iris of the eye to determine areas of strength and weakness in the body. Iridology examines fiber integrity, color, texture, pigmentation, and constitution. The characteristics of the iris and locations of different markings can reveal strengths and weaknesses of organs, areas and levels of inflammation, and health status. The iris is an extension of the nerve fibers of the brain, and these fibers visually reveal the health status of the body. What does iridology tell me? Iridology makes several suggestions about one’s health that can be beneficial for those who are looking to improve their overall health. Examples include overall health, health level, health potential, genetic and environmental toxicity sites, tendencies and predispositions, nutritional requirements and deficiencies, and inherent strengths and weaknesses. What are the limitations of iridology? While iridology can have many powerful uses, its knowledge is not unlimited. Iridology cannot identify illnesses or make diagnoses. It cannot reveal pregnancy as pregnancy is not a pathological condition. Iridology does not provide psychological or psychiatric analyses and cannot provide the location of invading microbes, such as bacteria, viruses, and parasites. How can I schedule an iridology consultation? Nature’s Finest Nutrition offers iridology consultations in-store. Appointments are typically accepted between the hours of 12 p.m. and 4 p.m. Monday through Friday, although if your availability does not fit within these hours, give us a call and we will work with you. Call (423) 899-8942 to ask any questions and schedule an appointment. 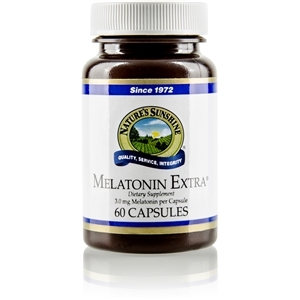 There is much discussion and debate about the benefits and effectiveness of using melatonin as a natural sleep aid. With so many differing opinions, it can be hard to decipher the facts. So, what is the truth about melatonin? Is melatonin beneficial for those without a diagnosed sleeping disorder? There have been no conclusive research findings about the benefits or disadvantages of melatonin use in individuals without a diagnosed sleeping disorder. It is crucial to contact your health care provider before beginning any supplement. What if I am taking melatonin? Where can I purchase melatonin? Don't feel the need to look like this guy either. We all want to be strong, look good, and feel good but strength training goes beyond that. While we don't have to look like the lady above, strength training is a good way to improve overall health, mentally and physically. You're probably asking "what is the point if not to look "incredible"?" Let me shed some light. To engage in strength training does not mean you have to be incredibly ripped, strong, one big mass of muscle, or even "in shape". The key is to start with where you are and push yourself to get to where you want to be. ( it may sound cliche but it's true) Don't try to exceed your limits to the point of hurting yourself but also go a bit beyond what you think you are capable of. In my experience strength training goes further than the gym, it extends into our everyday lives. There are times in training where you will think you are not capable and feel the effects of the confidence and accomplishment when you push through, overcome, and do what you thought you couldn't. Going forward you will find yourself being full of more confidence and believing that you can do more and are capable of doing hard or uncomfortable tasks. Strength training is good for you mentally because of those reasons, it takes you out of your comfort zone and pushes you to rely on your resolve and resilience. Many people see positive changes in their self esteem as a result. Now lets get to the physical benefits. Obviously strength training can make you look great if you put in the work and that is a great benefit but not the only one. Some other benefits are gaining strength, losing weight, forming good posture, strengthening your bones carrying out everyday tasks easier, and long term benefits that help your body and mind in old age. We all know someone who’s had to hear that big “C” word from their doctor. Cancer is a venomous disease that takes thousands of lives and affects millions of people. Everyone is looking and praying for a way to stop cancer. But what if one was discovered hundreds of years ago? Laetrile, aka vitamin B-17, or amygdalin is a chemical compound commonly found in fruits and vegetables. Laetrile was found in numerous studies to have beneficial effects on lung, prostate, and cervical cancer. The famous study that was “covered up” was performed by Dr. Kenematsu Sugiura at the Sloan-Kettering Institute for Cancer Research in 1974. Dr. Sugiura found that cancerous mice that were treated with amygdalin had a “definite deduction in development of mammary tumors – 70% in controls against 48% in amygdalin-treated mice. It also shows amygdalin had a strong inhibitory effect on the development of lung metastases in mice – 75 per cent inhibition against 22 per cent in controls.”  Dr. Sugiura concluded that “Amygdalin (Laetrile) should be legal and available” as Laetrile has the ability to “attack only cancer tissue. It is ‘poisonous’ only to cancer.” Dr. Sugiura is not the only doctor to find that Laetrile can almost miraculously stop cancer from growing. Laetrile has been found to specifically target cancerous cells time and time again, and yet the FDA still refuses to credit these studies or create more clinical trials. Perhaps the cure for cancer has been sitting right underneath our noses. Does YOUR child have a nutritional deficiency? This mineral is a main component of red blood cells, responsible for transporting oxygen around the body. 47% of preschool-aged children have an iron deficiency. A lack of iron weakens the immune system, and it can cause fatigue or weakness because the brain isn’t getting as much oxygen. Severe cases of iron deficiency can develop into anemia, with symptoms such as pale, easily bruised skin, poor appetite, and frequent infections. How do you avoid, or rectify, an iron deficiency? Incorporate red meat, seafood, beans, and dark green vegetables like broccoli, kale, and spinach, into your children’s diet. If you believe your child is experiencing anemia, you can start them on an iron supplement to boost their levels right away. Less than half of the United States population--children and adults alike--consume the amount of magnesium a body needs. The body uses magnesium in 300 different ways, including bone and teeth development, making it one of the most important minerals your growing children can have. A magnesium deficiency can cause growth pains or cramps, restlessness, anxiety, and muscle spasms like eye twitches. Avoid this deficiency by stocking up on magnesium rich foods, such as oats and other whole grains, nuts, and--as a treat--dark chocolate. The primary source of Vitamin D is sunlight. Children are more prone to deficiencies during the winter months, when it’s cloudy, and too cold to play outside. Though symptoms of a deficiency are not obvious, children who lack Vitamin D are at risk for Rickets, a skeletal disorder that affects bone growth and density. To keep the Vitamin D coming, even during the winter months, incorporate cod liver oil into your children’s diet, as well as seafood like salmon and trout. This vitamin is essential for blood, brain, and nerve formation. Your children cannot develop normally without it. However, the body is unable to produce it naturally, and must get it from outside sources. Symptoms of a Vitamin B12 deficiency are scary: they include developmental delays, seizures, and mental retardation. A lack of Vitamin B12 can be misdiagnosed as autism, or other developmental disorders. How can you ensure your children aren’t at risk? Feed them plenty of shellfish, red meat, eggs, and milk products. Even if your children are eating healthy, organic foods, they might not be getting the nutrients they need to grow. Stock up on nutrient rich foods as a preventative, and keep an eye out for symptoms of nutrient deficiencies. You want the best for your children--make sure they have the nutrients to grow up strong and healthy. ESSENTIAL OILS: why you need them in your life. Essential oils are the new black in the naturopathic, home remedy world. Chances are, you've heard a friend raving about her new bottle of lavender, or you have a bottle of peppermint oil on your shelf from Bed Bath and Beyond that you bought because it smelled nice. But few people know what exactly essential oils are, where to find non-synthetic brands, or just how much power is packed into those little 15ml bottles. So what's the big deal? 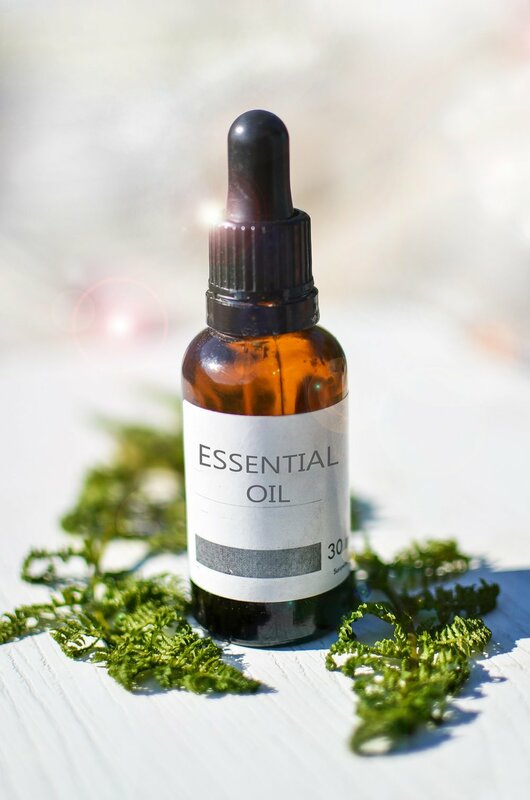 Extracted from the bark, leaves, roots, stems, and fruit of a plant, essential oils are a highly concentrated substance that contain the "essence" of their plant--the smell, but also the healing and nutritional capabilities. There are hundreds of different essential oils, which can be overwhelming; so today we're going to focus on a few that everyone should have in their homes. One of the best oils on the market, with dozens of uses and health benefits--peppermint oil is a must have. It gives a cooling sensation when applied, which is perfect for muscle pain, cramps, and joint stiffness. It can reduce muscle spasms, leading many doctors to recommend it for nausea, and digestive problems like bloating, indigestion, and IBS (irritable bowel syndrome). Other uses? Peppermint unclogs sinuses and soothes sore throats, providing relief for colds, coughs, asthma, and bronchitis. It acts as a natural, chemical free bug repellent, treats acne, sunburn, and bug bites, freshens breath, stimulates hair growth, and relieves headaches. Bonus: Colicky infant? Teething toddler? Peppermint has been proven to heal colic and sooth teething gums. Yes--the wise men's gift to Jesus is also an essential oil! It is commonly used in aromatherapy to reduce stress and anxiety, counteract insomnia, and decrease painful inflammation. But it can also boost your immune system, and even help prevent and/or treat cancer. Bonus: take advantage of its antiseptic and disinfectant powers--use it as a household cleaner. Hands down the most used essential oil in the world, the benefits of Lavender were first discovered over 2,500 years ago. Ancient Egyptians used it in their mummification rituals. Today, Lavender is a versatile oil. It reduces anxiety, improves brain function, and promotes deeper sleep in adults and children. It also has powerful skin benefits; it heals burns and wounds, restores skin complexion, reduces acne, and slows signs of aging. Lavender can also be used to protect your body from symptoms of diabetes, and soothes symptoms of cancer and chemotherapy. It is used to treat migraines as well. Bonus: it smells amazing. Dab a little bit on your neck and wrists as a natural, sweet-smelling perfume. The benefits of Eucalyptus oil were first researched by Australian physicians. Today, people all over the world are using it for cold and flu relief, sinus and allergy treatment, and respiratory issues. It also has many around-the-house benefits: use it as an odor remover, an air cleanser, a spot remover, and a natural soap. It is great for killing mold in your home. Bonus: it is 100% safe to use on pets! Considered one of the top essential oils for hormones, Clary Sage is most commonly used to relieve symptoms of menopause or heavy menstrual cycles. It relieves cramps, staves off hot flashes, and corrects hormonal imbalances. It can also be used to reduce cholesterol, increase circulation, and kill bacteria and infections. Preliminary studies have shown that it kills Leukemia cancer cells. Bonus: need a confidence boost? Clary Sage alleviates anxiety, and leaves you feeling joyful and relaxed. Highly concentrated and packed with antioxidants, Cinnamon is great for your heart. It stabilizes blood sugar, boosts circulation, combats cardiovascular disease, and heals damage from heart attacks or strokes. Other uses? Cinnamon reduces ulcers and promotes digestion health, burns fat, relieves depression, and kills parasites your body gets from undercooked meat, unclean vegetables, or traveling overseas. Bonus: it has been shown to act as a natural aphrodisiac. The most important thing to remember when in the market for essential oils? Check their quality! There is no third-party governing body that regulates essential oils, so companies that give their oils a "grade" or have "certified" on the bottle are not referring to external standards. Many companies sell adjusted, altered, or even synthetic oils. How can you avoid this? Buy Nature's Sunshine! They back every bottle of our oils with our SureSource Guarantee, and have spend decades building trusted partnerships with their customers and suppliers. For each essential oil, they can provide several documents--signed by botanists, third party experts, and lab technicians at each phase of the product's life cycle--that certify pure, natural authenticity. Stock up on our essential oils, knowing they're full of pure, concentrated plants, and have fun finding your favorites! Magnesium Complex: what it can do for you! Magnesium is involved in over 300 biochemical functions in the body--making it one of the most important minerals our bodies need. Unfortunately, few people are tested for hypomagnesemia, and many people don't realize they are deficient. What makes magnesium deficiency so common? There are a few factors at play. Soil depletion lowers the amount of magnesium in the crops we eat. Digestive disorders, high rates of prescription medication, and antibiotic use damage the body's ability to absorb magnesium. We naturally lose magnesium every day from normal activities, but if those stores are not replenished, then our bodies can become deficient. Here at Nature's Finest, our solution is the Magnesium Complex supplements from Nature's Sunshine. Jim recommends starting with 2 capsules a day, and working up to a dose that best meets your body's needs. Give us a call, or drop by the store to pick up a bottle today! Chlorophyll is the green pigment plants use to undergo photosynthesis. In particular, chlorophyll helps plants use light as energy. Chlorophyll has many anti-inflammatory and antioxidant effects in the body. It's important for circulatory, digestive, and immune health, with powerful cleansing effects. too. It has even been found to help fight candida yeast. Nature's Sunshine's Liquid Chlorophyll comes in regular and extra-strength potency options. Theirs is naturally sweetened with spearmint oil for a fresh, energizing superfood drink. As we like to say, "If you're green on the inside, you're clean on the inside!" Wanda H. "For a long time I've lived with a very poor appetite, and stomach pain. When I came to Nature’s Finest, I sampled some Liquid Chlorophyll. On the way home, just 10 or 15 minutes later, my appetite returned, my stomach did not hurt, and I was able to eat a very good amount for lunch. My stomach felt soothed, relaxed, and nourished! I returned immediately to Nature’s Finest to buy my own quart of Chlorophyll." Although uncommon in America, liver has historically been consumed for thousands of years throughout the world. In many cultures, it is considered a delicacy. The French foie gras and pâté, Scottish haggis, and German liverwurst are just a few examples of liver’s global popularity. Steeped in civilizations with a tendency to let no part of the animal go to waste, liver and other organ meats fell out of favor as food processing grew more prevalent. Muscle meats quickly gained more popularity and were highly shelf-stable, as opposed to delicate, fast-spoiling liver. Nevertheless, liver—be it from beef, fish, pig, or chicken—is rich in many vitamins, minerals, and nutrients, typically ten times the amount found in muscle meats. Gram per gram, liver contains the highest amount of nutrients of any known food. It contains these nutrients in their easiest available forms, allowing the body to work less to remain healthy. 65% of the daily value of folate – the organic form of folic acid, important for fetal growth in pregnancy, red blood cell production, and brain health. Vitamin A in the highest absorbable/bioavailable form, retinol. Necessary for eye, skin, bone, and tissue health, retinol is easier for the body to utilize than plant sourced beta-carotene. Vitamin D3, the sunshine vitamin. Since most people have difficulty soaking enough D from the sun, supplementation is often necessary. Liver is one of the purest whole food sources. Vitamin E. Another fat-soluble vitamin, E boosts immune function, helps repair damaged cells, as well as balance hormones and cholesterol levels. Vitamin K1. This lesser known vitamin is critical for building and maintaining bones, protecting cardiovascular function, reducing bleeding (especially in regards to hemorrhaging, internal bleeding, and heavy menstrual cycles), and insulin regulation. Choline, a chemical rather than a vitamin or mineral, that has a structure similar to that of B vitamins. It is has been found to prevent fat buildup in the liver, aid childhood and infant development, reduce memory loss, and possibly lower cholesterol and homocysteine levels, as well. Due to its ability to filter and neutralize toxins in the body, most people hesitate to consume liver in fear of absorbing toxins from animals. There’s no reason to fear. Liver does not store toxins. The toxins that pass through it are stowed away in fatty or nervous tissue. What does stay in the liver are vitamins, minerals, and other nutrients, in great heaping portions. 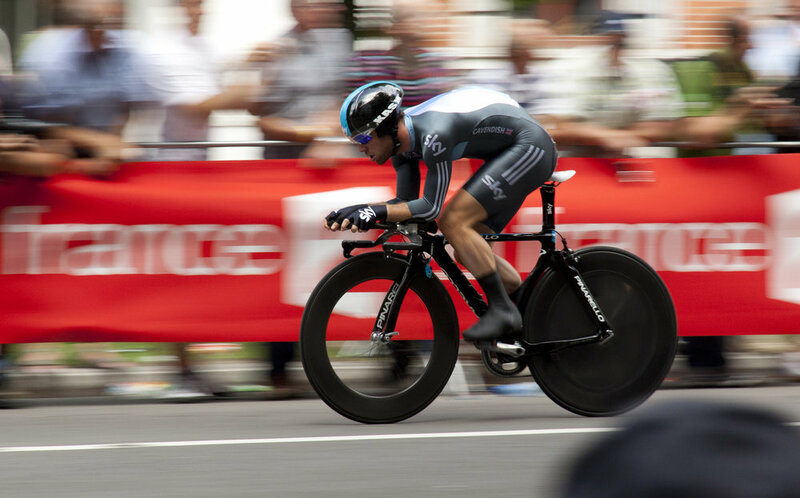 Originally developed for Olympic athletes, NeoLife’s Liver Plus C has profound benefits for athletes, or anyone looking to boost their energy levels. In a 12 week study of rats, three groups were divided and given supplements. The goal was to mark any differences in stamina and endurance between the rats during a swimming test. Group 1 was given a simple balanced diet. Group 2 was given an identical diet, but with added B vitamins. Group 3 ate the same diet supplemented with liver. At the end of the study, the rats were tested to see how long they could swim. Both Groups 1 and 2 swam, on average, 13 minutes. The liver supplemented Group 3 swam an average of over 2 hours. Only three rats swam for shorter time periods: 62, 83, and 87 minutes, a minimum of 49 minutes longer than the other groups! The scientists conducting the study felt that a minimum of 24 days was necessary for liver supplementation to manifest its full effects. The cause for liver’s unique effects on physical performance are still unknown, but its benefits are radically clear. I added the Liver Plus C (LPC) about a month ago. I had been running three miles max. When I added the LPC I bumped it up to five miles and ran my first half marathon in two hours and 39 minutes. I attribute the LPC with my energy level and endurance. My youngest daughter said, "Mom, you are so hyper! I want to take what you are taking." I'll will be 55 years old on Sunday and I have never felt better! Fuel matters! My son battles with acne. He started with two Formula IV and two Liver Plus C a day. Since starting on the program he has no acne. He stopped his program and it came back, so now he remembers to take the products more regularly. The husband of one of my friends was eating very poorly and struggling with energy. He wouldn’t drink NeoLifeShakes or eat their Bars, so we put him on 6 Liver Plus C a day. After only 3 months, his energy levels increased dramatically. His wife told me that he has so much more energy, and he’s even eating better. They live across the street from me, and rarely did I see him outside his house, but in the last few weeks I have seen him working in his yard, sometimes late into the night! Live Long & Live Well with Tre! Science has s hown that a special group of nutrients called polyphenols, typically found in superfoods, plays a wide range of critical roles in supporting and maintaining optimal health, longevity, and cognitive capacity throughout life. Research shows that when polyphenols are absent or deficient in our diets, aging processes are accelerated and disease risk is higher. Conversely, when they are abundant in the diet, aging is slowed and disease risk is lowered. Tré contains those special groups of nutrients that will help you live long and live well. What are the nutritional values of Tré? Through its potent mix of natural ingredients, Tré will help you live longer and healthier. The juice enhances metabolism to burn fat and calories. It helps lower blood pressure, reduces cholesterol, and fight serious diseases. CUSTOMER TESTIMONY Dallas B. In the past I’ve had cancer, 4 pulmonary embolisms,multiple heart failures, and open heart surgery. My immune function has been extremely low for 14 years. I used to be hospitalized for 2 to 6 weeks a year. Since I’ve been using Tre, it keeps me strong. I don’t get sick! Are you looking to take B12 for an energy boost? Do you want to strengthen your hair, skin, and nails with biotin? While it might seem easy to take a single B vitamin, it’s wiser to supplement with the whole B complex. If one B vitamin is deficient, it’s likely others are out of balance, too. Besides, supplementation of any one B vitamin to the exclusion of the others can cause deficiencies. For instance, supplementation of Thiamine by itself causes a severe drop in B6 levels. Our favorite B complex supplements?